Ms. Ivonne Dressed as the cow from "Hey Diddle Diddle"
Watch out! A skunk is on the loose. We raffled pumpkins away to the families. 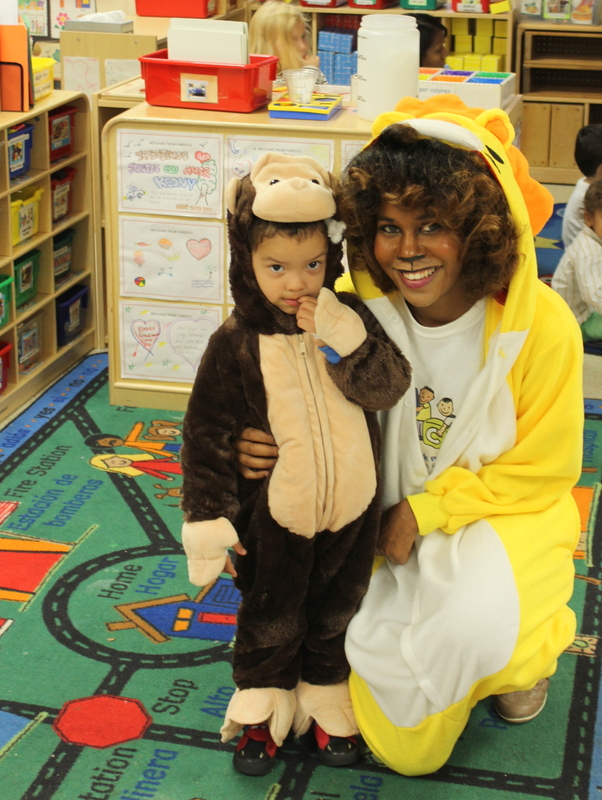 Executive Director Ms. Khaleeqa dressed as a lion with a student who was a monkey. We invited all the families out to a costume parade and party on October 31st. Each child dressed up as their favorite reading or cartoon character and we had a march around Jefferson Park's playground. The event was fun for the families and children!